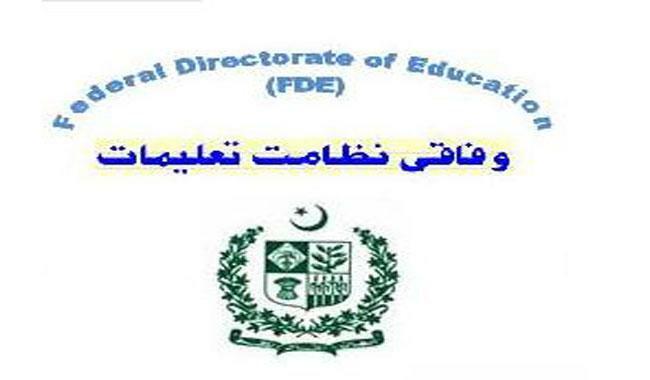 Islamabad, Federal Directorate of Education Islamabad is going to start the admissions of the students in FDE Class 1 & Prep Admission 2019-2020. The candidates are registered in the Islamabad model colleges and schools in the prep and class 1. The registration forms will be issued and submit in the FDE from 15-3-2019 to 29-3-2019. The entry test of the candidates of class prep will be held on 02-04-2019 and test of class 1 will be held on 04-04-2019 at 09:00 am. The merit list of class prep will be displayed on 08-04-2019 and merit list of class 1 will be displayed on 12-04-2019. The dues of the prep class will be deposited from 08-04-2019 to 10-4-2019 while the FDE Prep & class 1 2019-2020 will be started from 15-4-2019. You Can Get Admission Schedule Here.